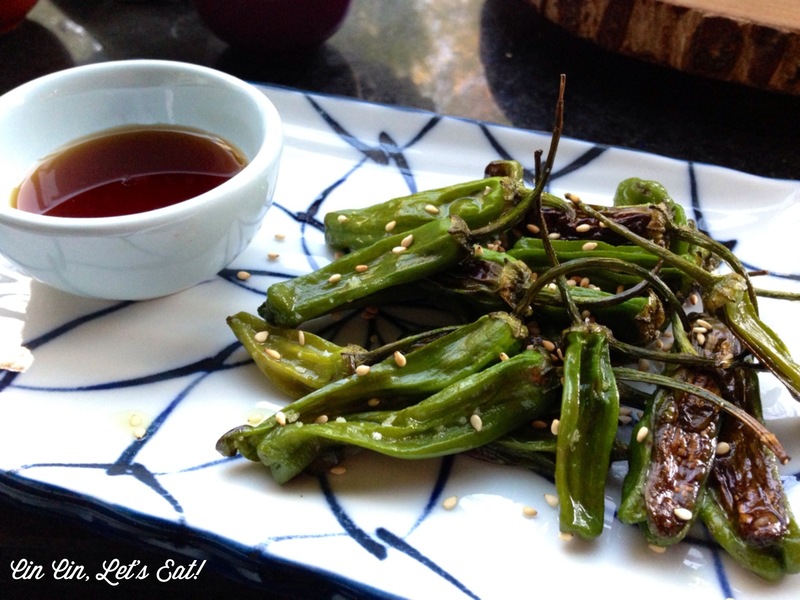 Roasted Shishito Peppers [recipe] – Cin Cin, Let's Eat! We are still reminiscing about that fantastic and delicious meal we had from Pizzaiolo, every dish was perfection. 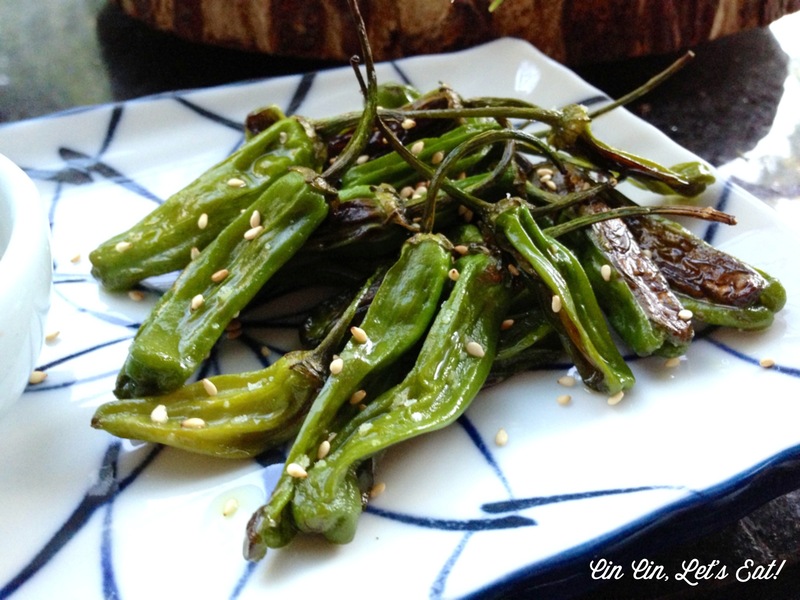 I especially wanted to recreate the roasted padron peppers we all enjoyed so much during cocktail hour. I used shishito instead since that’s what the market had. They are both similar in size and heat so the result was equally delectable. Both padron and shishito are sweet and tender, but once in a while you might get one that is hotter than the rest. Roasted shishito pepper is a very popular bar snack in Japan. The saltiness and the slight kick of heat work well with beer and sake. They are equally addicting as bar nuts and the preparation couldn’t be easier. Preheat the oven to 400F, and line a baking tray with foil. Rinse and dry shishito peppers to remove any excess moisture. Toss the peppers with enough olive oil to coat. Season with coarse sea salt. Serve them immediately, along with any dipping sauce you like. These will be gone within 5 minutes. Besides roasting in the oven, I see that lots of people use the pan-roasting method – cook in a pan over high heat for 5-6 minutes until blistered and slightly charred. That’s half the time of roasting in an oven, I should give it a try next time. I personally like them plain with salt only, or with a quick dip in ponzu sauce. Too much condiments will overpower the sweetness of the peppers. If you would like to dress it up, the options are endless – sesame seeds, miso mayonnaise, lemon juice, flavored smoke salt, chili or cayenne powder, ponzu, whipped goat cheese, Shichimi-Togarashi powder…etc. Keep in mind to go easy on the salt if your dipping sauce will also be salty. Reblogged this on APA Voice.